John Piper examines Paul's teaching on justification in response to the New Perspective. Tom Wright's rearticulation of the New Testament theology of the gospel and justification by faith has exerted significant influence amongst scholars and the wider Christian public. 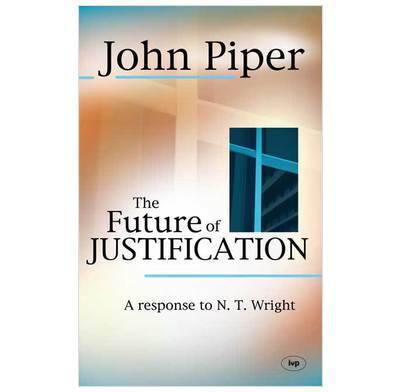 John Piper offers a fruitful engagement with, and critique of, Wright's position. 8. Does Wright Say with Different Words What the Reformed Tradition Means by "Imputed Righteousness"? 9. Paul's Structural Continuity with Second-Temple Judaism? 10. The Implications for Justification of the Single Self-Righteous Root of "Ethnic Badges" and "Self-Help Moralism"
11. "That in Him We Might Become the Righteousness of God"
1. What Does It Mean That Israel Did Not "Attain the Law" Because She Pursued It "Not by Faith But as though It Were by Works"? 5. Does the Doctrine of the Imputation of Christ's Righteousness Imply That the Cross Is Insufficient for Our Right Standing with God? The so-called 'New Perspective on Paul' has stirred up enormous controversy ... Certain parts of John Piper's book have quietly broken new ground ... The issues are not secondary, and, pastor that he is, John Piper will not allow believers to put their trust in anyone or anything other than the crucified and resurrected Savior. John Piper's challenging yet courteous book takes issue with Bishop Tom Wright's major theses regarding Paul's teaching on justification ... This is a serious critique of one of the foremost representatives of the New Perspective on Paul and deserves to be read by all who want to understand more fully and rejoice in God's righteousness in Christ and his justifying the ungodly.